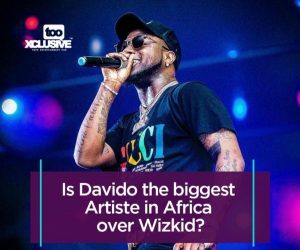 Is Davido The Biggest Artiste In Africa Over Wizkid? For a while now, Davido and Wizkid have both been in a battle for who the bigger artiste is. Although they have both buried the hatchet and moved on, we can’t help but notice that one of them is always ahead of the other, and it appears that it is Davido this time. In the last 8 months or so, Davido’s penetration into the global market has no doubt surpassed that of his former arch rival. From being the BET Award recipient in the category for Best International Act which he received on the main stage, to getting listed among world music heavy weights for international concerts and festivals, can we say Davido is the biggest Artiste in Africa? Tell us what you think in the comment section.